I’ve always felt that the best training is the kind that delivers rewards both inwardly and outwardly – where our fitness increases, and our exercise becomes increasingly enjoyable. What’s the best training to achieve both results? I spent several decades searching for the answer. And I gradually came to understand that the “method” is both simple and complex. Simple, because really, it’s just asking a fairly straightforward question: “What’s the best way to train?” In my experience, when our training is in harmony with our body’s needs, the “joy of sports” naturally follows. Body. How can I fine-tune my training in harmony with the body’s ever-changing needs? Heart. How can I find the joy of expansive feelings when I train? Will. How can I train with strong will, without getting injured or overtrained? Mind. How can I focus and quiet my mind, so I can find the enjoyable sports “zone”? Soul. How can I commune with the wisdom and joy of a higher intelligence when I exercise? At this point, I wouldn’t be surprised if you’re feeling a bit suspicious. Perhaps you suspect that the “formula” will be extremely complex, that it will take 300 pages to explain, and that there will be a cop-out in the final pages. Yet, as I promised above, the answer to those five challenging questions turns out to be surprisingly simple. Let me explain. The experiences of others. We read what successful athletes have done, and imitate them. There’s a lot to be said for each approach. But notice that just one – trial and error – addresses the unique needs of the individual athlete. Even so, the most meticulous training diary can only tell us what worked when conditions were nearly (but never exactly) the same as they are today. Let’s look more closely at the first approach – science – since it’s probably the one athletes trust most. There are thousands of books and articles on training, based on sports science. Yet I’ve always felt that there’s an important element that they tend to leave out. Articles for runners, for example, tell us, over and over, how to improve our 10K and marathon times, based on the latest scientific research. But they don’t tell us much about how to fine-tune our training “on the fly,” from moment to moment, during each and every run. Yet, as every newcomer soon discovers, rigidly following inflexible training schedules is a recipe for disaster, because each body is unique, and the body’s needs change continually. Science looks at the outside of sports. It studies the body as a working machine. Science describes an imaginary “average” body, based on poking and prodding hundreds of bodies. But when we look under the hood at the individual body, the picture becomes vastly more complex. The body that we must train with isn’t a scientifically averaged body; it’s a specific organism that reacts in unique ways to the countless factors that may affect it on a given day: our sleep patterns, diet, the weather, yesterday’s training, our stress level at work and home, and so on. Not to mention the factors we’re born with and can’t change: our VO2Max, biodynamics, etc. When it comes to planning our training, clearly it’s the individual body that counts. Yet the sports scientists hardly ever tell us how to “listen to our bodies.” Certainly, they advise us to take our morning pulse and monitor other physical markers of overtraining. But they don’t tell us how to listen to our bodies moment by moment, so we can avoid overtraining in the first place. Don’t get me wrong, I’m not “against” science. Science has given us marvelous insights about how our bodies work. But it hasn’t done a very good job of telling us how to individualize our training. Just hours ago, I read an article in the New York Times on research that completely discredits the lactic-acid theory of fatigue, which for 80 years was considered an unassailable pillar of sports science. It seems that lactic acid doesn’t “cause fatigue” after all, as we were led to believe. In fact, lactic acid is an important fuel for the working muscles. “It’s one of the classic mistakes in the history of science,” Dr. Brooks said. [George A. Brooks, professor of integrative biology at the University of California, Berkeley] …. Yet, Dr. Brooks said, even though coaches often believed in the myth of the lactic acid threshold, they ended up training athletes in the best way possible to increase their mitochondria. “Coaches have understood things the scientists didn’t,” he said. If science can’t tell us everything we need to know about training, we’re left with little choice but to “train empirically” – that is, conduct our own experiments and figure out what works best for our own unique, individual body. And that may not be a bad thing. In fact, all of the most successful training systems have been derived empirically. Arthur Lydiard, the legendary coach whose methods were adopted by successive waves of Olympic champions from New Zealand, Australia, Japan, Finland, Mexico, Africa, and the US, evolved his ideas by first testing them on himself. When Lydiard wanted to know the best weekly training mileage for a talented distance runner, for example, he ran 80 to 300 miles a week and painstakingly tracked the results. Based on countless experiments conducted in the laboratory of his own body, Lydiard evolved the systems of “periodization” and “peaking” that would dominate the training of world-class runners for decades, and that are enjoying a revival today. Everything is limited by the body. You can never advance your training faster than your body’s ability to recover. And some bodies take longer to recover than others. You can only train as hard as your own, individual body can manage. It cannot be emphasized strongly enough: every body is unique. Thus, it’s extremely important to find a way to “listen to the body” – to know, with certainty, what your unique body’s needs are, day by day, so that you can train accordingly. It’s easy to know after a run if you’ve done too much or too little. That’s why we keep training diaries: to learn, over the weeks, months, and years, how our bodies generally react to different kinds of training. The diary can help us make better decisions, based on experience and common sense. But what if there were also a way to know while we’re running, if what we’re doing is exactly right? I’m not recommending that you throw your diary away, or abandon your common sense and reason. But one of the best tools I’ve found for knowing what will improve my fitness and the inner quality of my runs is intuition – the calm, impartial feelings of the heart. Many years ago, I began to notice that the subtle feelings of my heart were trying to tell me the kind of training my body “wanted” or could handle on a given day. At first, I brushed those messages impatiently aside, because they often seemed to be telling me things I didn’t want to hear – like Slow down! – or Pack it in! – or Go home! Also, because I thought it was kind of airy-fairy to be running around “listening to my heart.” But when I began to take those signals seriously, I began having deeply enjoyable runs more often, and I was able to make better decisions about my training. In time, I realized that paying attention to the heart wasn’t “airy-fairy” at all – that logic and feelings complement each other; that both are indispensable tools for a runner. A common prejudice in our reason-dominant culture says that we can follow either reason or feeling, but not both. Partly, of course, it’s true – in fact, emotional feeling can be very misleading. Yet a landmark study that I’ll cite in Chapter 7 (“Focus on Feeling”) found that people whose brains were damaged by physical trauma, impairing their ability to feel, had a terrible time making decisions, even though their reasoning powers were intact. There’s nothing terribly mystical or spooky about intuition – although it definitely extends into spiritual realms. We use intuition all the time in our daily lives, even if we don’t call it by that name. Imagine that you’re trying to decide which of two equally qualified job candidates to hire. One candidate gives you a good feeling, and the other makes you nervous, though you can’t put your finger on exactly why. Or imagine that your spouse suggests that you travel to her parents’ for Thanksgiving. You agree, but on some deep level of your awareness, you know you won’t be going. Sure enough, your youngest child falls ill and the trip is canceled. Stop what you’re doing. “Call time out.” Go to a quiet place where you feel relaxed and undistracted – perhaps a nearby park. Find a place where you feel comfortable and calm, where you can be yourself. Sit for a while and relax. Be grateful for the break in your day. Savor it, and when you’re feeling calm, turn your attention to the decision before you, and review the alternatives. As you contemplate each option, check the feeling in your heart. Try to find a calm, impartial level of feeling that isn’t affected by personal prejudices and desires. Chances are, one choice will generate a more positive, upbeat feeling than the others. Warning: Don’t try this with really big decisions! – at least not until you’ve had plenty of practice. Decisions about relationships, cars, computers, or chocolate are seldom easy to contemplate with a calm and detached heart. In fact, the most difficult part of using intuition is persuading the heart to be calm and impartial. There are many ways to improve your ability to hear the intuitive messages that your body is sending. For example, research I’ll describe in Chapter 6 shows that anything you can do to generate harmonious, happy feelings in your heart will improve your ability to focus your mind, be calmly impartial, and know what’s right. 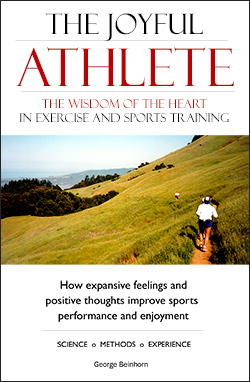 Throughout this book, I’ll suggest ways to generate those kinds of positive, expansive feelings while you run. And I’ll describe some of my own struggles to find that detached, intuitive place in my heart. If you take just one thing from this book, I hope it will be this: when you’re looking for the intuitive, happy part of your heart, don’t try to get there with your mind. Trying to think your way to a state of intuitive feeling doesn’t work. Instead, go straight to the heart. The quickest way to find the intuitive heart is by using “heart-means.” Do whatever makes you feel happy, calm and expansive, whether it’s singing, remembering a happy experience, thinking of a friend, sending silent blessings to loved ones, or opening your heart to the rhythms of running, or to nature, or Spirit. If your thoughts are scattered or unhappy at the start of a run, don’t waste time thinking and worrying about it, generating endless words. Instead, run your way into a happier “place.” (For more suggestions, see Chapter 5, “The Harmony Zone.”) When we’re deeply interested in what we’re doing, the mind naturally and effortlessly finds a focus. Trying to force the mind to concentrate is nearly always a waste of time. The deepest concentration comes when we’re relaxed and interested. Let your thoughts wander and grouse, if they must. Just run. Let the rhythms of running, the movement of your footfall and breathing, soothe your mind and heart until you begin to feel more centered and cheerful. As you cultivate good feelings, the mind will follow. In fact, it’s a time-tested rule: “The mind tends to follow whatever feeling is uppermost in the heart.” When we feel something strongly, the mind tends to trot along and support that feeling. If you have a hankering for ice cream, for example, you’ll find your mind obediently supplying all the logical reasons ice cream would be a really good thing for you to have right now. When you feel blue, your mind lists all the ways life is cruel and unfair, and why the world owes you more than it’s giving. Isn’t it so? In this book, I’ll suggest ways you can use your mind to stimulate positive feelings that will help you relax, focus, and hear your body’s intuitive whispers. In all of these practices, it’s good to be “intense, but not tense.” Relax! It’s not just important; it’s essential. Many years ago, when I began to be aware that my body was trying to talk to me through my heart, I discovered that there was a running pace at which those messages were easiest to hear. I call that pace the “harmony zone.” I’ll say more about it in Chapter 5. For now, here’s a preview. The harmony zone is a subjective experience – it’s an actual “happy feeling” in the area of the heart. It’s a subtle, enjoyable feeling of “rightness” that tells me I’m doing exactly the right thing, the thing that’s healthiest for my body, and that will improve my fitness most efficiently. Those happy feelings show up when I run at the pace my body “wants” on the day – the harmony zone pace. If I ignore the signals and run too hard or far, the good feelings fade, replaced by a subtle disharmony. Listening to my body’s wisdom, speaking through the “voice” of the intuitive heart, I find I can apply scientific training methods more wisely, with better awareness of my body’s unique needs. Jeff Galloway, a US Olympian and author of a popular series of books on running, believes it isn’t actually possible to “listen to the body,” as so many coaches recommend, because there are simply too many variables. Reason and logic can’t always tell us, for example, why our ankle is hurting, or why we’ve got less than our usual energy today. But intuition – calm feeling – can often deliver the answer. Intuition works on many levels. Often, it’ll be just a simple, earthy feeling about what’s right – Hmm, my body’s starting to feel unpleasantly pressed – better slow down. More rarely, it can express a higher guidance, sometimes in startling ways. Here’s a story of a time when intuition served me well. It’s an extreme case, because it touches on the spiritual realms of intuition. But it’s not untypical of the intuitive guidance I’ve received over the years. I was training for my first ultramarathon, a difficult 50K (31.1 mi.) race in the High Sierra, with over 9000’ of climbing, when Achilles pain threatened to end my running career altogether. I was aware that shoe inserts (orthotics) might help. But money was tight, so I tried everything else I could think of, including anti-inflammatory drugs, motion-control shoes, icing, massage, taping, and cheap over-the-counter inserts. I even stuffed leaves in my shoes! But nothing worked. The inner guidance was unrelenting. Again, it said, “Go see the podiatrist.” Feeling that I had little to lose, I made the appointment, and sure enough, the podiatrist wanted $40 for the exam and $400 for a set of orthotics. Seizing my faith in my hands, I told him to place the order and send me the bill. The next day, a friend that I hadn’t heard from in years called to say that he’d finished writing a book for racing cyclists, and he needed photos. He needed them quickly, and would I do them for $500? This story has repeated itself, with endless variations, in my 40-plus years as a runner, to the extent that nowadays, whenever I need an answer to a problem with my training, I simply ask. Of course, it isn’t quite that simple, since getting clear answers takes a certain kind of asking and listening, and it’s a skill one develops over time. The answers rarely come in words, as in the story of the podiatrist. More often, it’ll be no more than a quiet inner knowing, or a subtle feeling of “rightness” when I try one thing, and an unease when I try the opposite. Other times, I’ll be guided to a person, a book, or a series of logical thoughts that hold the answer. This year, I planned to run and fast-hike 52.4 miles, a double marathon, as a fundraiser for a local school. I was enthusiastic about the route I’d chosen, which started at the north end of the Golden Gate Bridge and wound southward through the neighborhoods of San Francisco, and along the flanks of the Coastal Range to our home in Mountain View. I’ve always loved long solo runs, and I’d hauled out my maps and was happily checking distances, when I began to notice an uneasy feeling in my heart. I swallowed my pride and planned a 35-mile outing instead, on a lovely route from the ocean at Half Moon Bay, over the Coastal Range, to the Bay at Mountain View. I’m certainly not going to claim that my intuition is perfect. But the guidance I receive seems to “work” remarkably well. Intuition has proved itself to my satisfaction in the laboratory of thousands of miles of running. In the chapters that follow, I’ll suggest that all successful and enjoyable training is expansive. “Expansion” simply means we’re “stretching our edges” in meaningful ways. We’re using the five tools of an athlete – body, heart, will, mind, soul – to create more health, love, strength, wisdom, and joy. When we’re able to do that, we feel wonderful, and our training goes well. But expansion also has its dark opposite. When we use our runner’s tools “contractively,” we suffer. When we misuse our bodies by overtraining, for example, we shrivel and become less than we were: physically drained, emotionally withdrawn, with little energy for running, work, or relationships. Sports training is a never-ending battle to do the right thing. Winning the battle takes maturity, self-control, and patience. Intuition – the calm and receptive heart – can tell us if we’re moving in the right, expansive direction toward more fitness and joy, or if we’re headed in a direction that will lead us into a ditch. I don’t claim that this book will tell you everything there is to know about expansive sports. But I’m confident that the core principles will help you improve your results and create more enjoyable training. 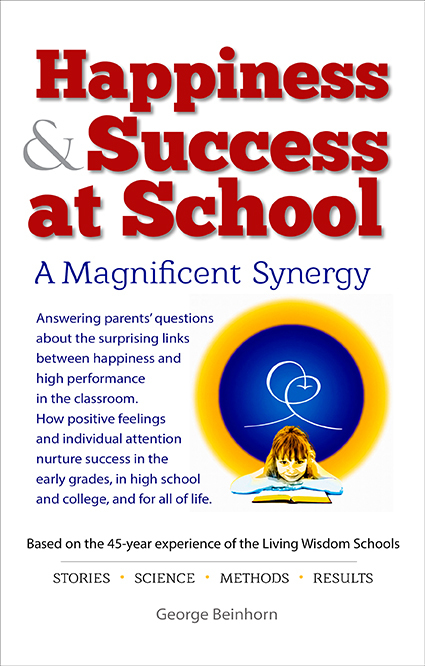 In the chapters that follow, I’ll present evidence that expansive attitudes are linked to athletic success at every level. I’ll describe the five tools of expansive training, and how nature develops those tools in a natural sequence during the first 24 years of our lives. In the remaining chapters, I’ll suggest that training is evolving away from older mechanistic models, toward energy-based methods that can bring us success and enjoyment more efficiently. As evidence for the validity of expansive sports, I’ll present examples from the experiences of elite athletes and sports teams. Sports training holds a promise of experiences of great depth and joy. It’s my hope that this book will contribute to your enjoyment of the athlete’s path. In this book I refer to running, since it’s the sport I’m most familiar with. However, I believe the principles of expansive athletics apply to all sports. “Lactic Acid Is Not Muscles’ Foe, It’s Fuel,” Gina Kolata, NY Times, May 16, 2006. Downloaded from http://www.nytimes.com/2006/05/16/health/nutrition/ 16run.html?ex=1148011200&en=eef2896c5c908265&ei=5070 on May 17, 2006. Downloaded from http://runnersworld.com/article/0,7120,s6-243-292—10704-0,00.html on October 26, 2006. Osler, Tom. Serious Runner’s Handbook. Mountain View, CA: World Publications, 1978. 11-12. Because I’m most familiar with the sport of distance running, I’ll use examples from “my” sport when presenting hypothetical examples. The principles apply universally, across sports boundaries. I was coach to Zola Budd in the years following 1982 when she won the international cross country. I am currently coaching British cross country teams and would be grateful for your feedback of current events. Lovely to hear from you. I’m not sure that I understand your question. Which current events did you have in mind?